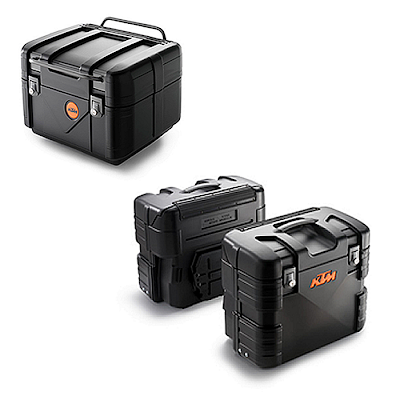 KTMtwins.com KTM Motorcycle and Product News: Black KTM Adventure Sidebags and Topcases are now available! Black KTM Adventure Sidebags and Topcases are now available! You've been waiting for them and we have too. KTM's Black Gobi Side Bags and Top Case look ultra cool and are featured on our Black Beauty Bike. They offer all of the features and functions of the Gray Side Bags and Top Case but now in Spec Ops Black.